The Lord of the Rings: War in the North is an RPG experience based in the Lord of the Rings universe. The game was released in 2011 by Snowblind Studios for multiple platforms (PC, Xbox 360 and PlayStation 3). War in the North follows the journey of three heroes as they attempt to help in the war effort in the fantasy Lord of the Rings world. 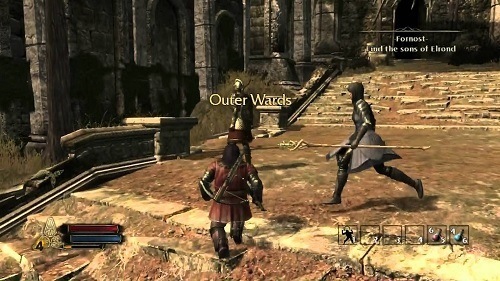 As an action role playing game players take control of their own hero and fight their way through the storyline by themselves or with friends in the co-op mode. Advancement through the game is split up with several city hubs and villagers where players acquire information, quests and supplies before continuing on their journey. Each of these locations has good uniqueness giving the game that extra level of immersion that separates the good role playing games from the great. The three characters that you can get your hands on in the game include Eradan (a human ranger), Andriel (an elven mage) and Farin (a dwarf fighter). Each of the characters has a mixture of melee and ranged options so you don’t feel like you are restricting yourself by your choice of class although they each obviously have a preferred fighting style. These characters all come with their own unique ability and skill tree that lets you develop them to suit your desired playstyle. 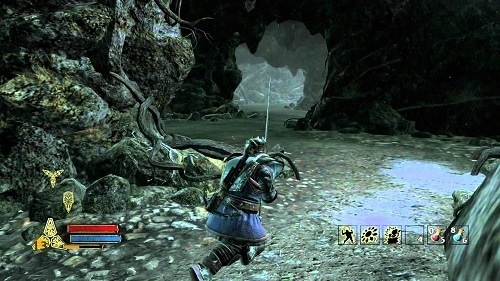 In combat you also have a variety of attacks to call on from light to heavy and even blocks which with careful timing can ensure success over the usual button mashing of other games. While the AI is generally pretty good at handling itself in these combat situations players do have the option of issuing commands to them if they start to run around like they’ve lost their heads. Fans of Lord of the Rings will definitely love what the game offers, especially with all of the locations and references from the series. If you aren’t a LOTR fan though then you’ll still love the solid RPG experience that the game brings to the table. 3 Varied classes to choose from. Features locations and references to the LOTR series. Solid combat that doesn’t get old. Good skill tree options let you create your ideal character. Available on all the big platforms.